Choosing a photographer for the big day, can be one of the most exciting and stressful decisions of the entire planning process. With a multitude of extremely talented photographers in our area, it makes the decision even harder! We decided to reach out to some of our favorite local photographers that we have had the pleasure to work with and pick their brain about what makes their work so beautiful. We had the pleasure of interviewing Denver photographer Jessi Dalton who is one half of the extremely talented husband and wife duo that have a knack for capturing some of the most beautiful moments from the big day. Our preferred style of photography is documentary because we want to capture the day naturally as it unfolds, but we will step in to take a more lifestyle approach when needed to style an image to ensure its the strongest image possible. Do you work from a shot list on the big day? 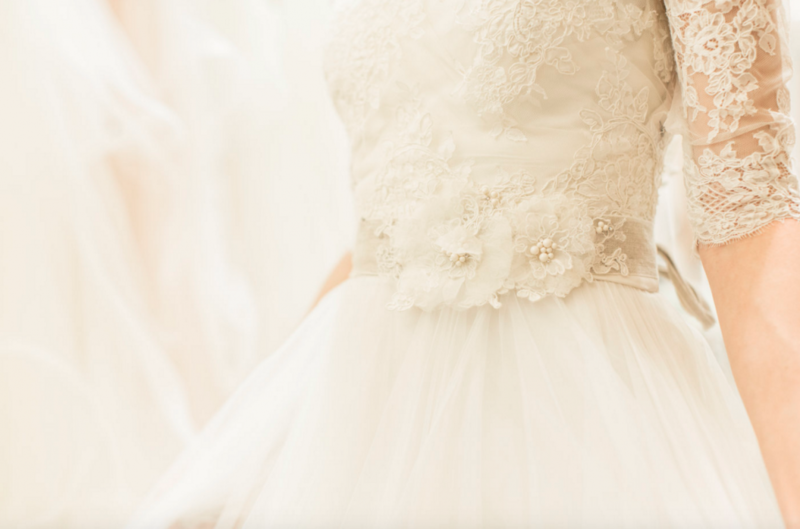 Do you have an advice for brides? Our biggest piece of advice for brides is to make sure you have a great team in place that you really connect with. We know the day of can be overwhelming so making sure you have a team in place that you trust allows you to relax and enjoy the day. Especially your photographer since they’ll be by your side about 90% of the day. Being able to connect personally with our couples is really important to us. Lastly, get your photos printed whether its single prints or an album. It’s the one tangible piece you’ll have left after the big day. What is included in your price package? Each wedding collection we offer includes an engagement session, a second photographer on your wedding day, an online gallery to view and share, as well as the digital images. How many images can a couple expect to see from their wedding? Depending on the day of coverage, our couples can expect to receive anywhere between 500-800 images of their day. Do brides receive a disc of images, or do they have to order all of the prints through you? Our couples images are delivered through an online gallery with a personal printing release. You are welcome to view, share, and download the images, but the greatest thing we’ve heard from our couples is how easy it is to order from the gallery. Being able to order online cuts out the process of having to download, reupload, and then go pick the images up from the store. If you order the images through the gallery, they are printed by our professional print lab and get shipped directly to your door! This ensures your images are color corrected and true to life as well as archival. Our couples also love that it cuts them out of the process when friends and family want prints from the wedding. It’s been an awesome addition to our wedding experience and all galleries are backed up on servers for 10 years! What is your favorite part of the wedding to photograph? Our favorite part of the day is still watching the groom as he sees his bride for the first time whether its during a first look or at the ceremony. It melts our hearts and we’re thankful at that moment we’re hidden behind our cameras. What is your favorite subject to photograph when you are not shooting weddings? When we’re not shooting weddings, we love to document our travels and the beautiful landscapes we come across. Jessi also photographs high school seniors which is always a blast! !